Martin Ruiz Salvador is the executive chef at Fleur de Sel, which he co-owns with his wife, maître d’ Sylvie Ruiz Salvador. 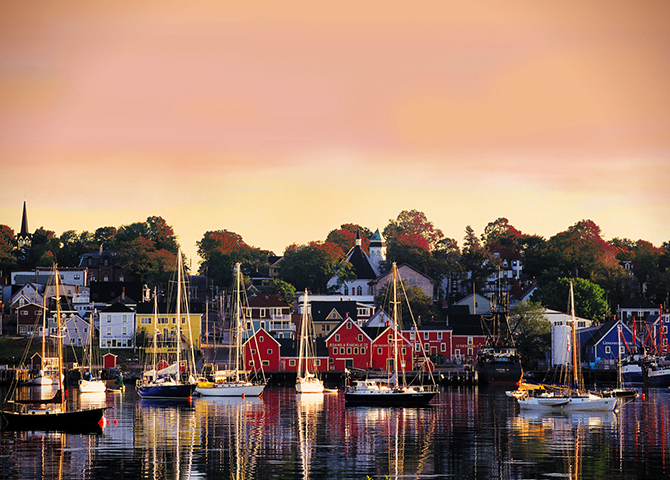 He has worked in Michelin-starred restaurants in Dublin and France, but today he calls the picturesque Nova Scotian fishing village of Lunenburg home. 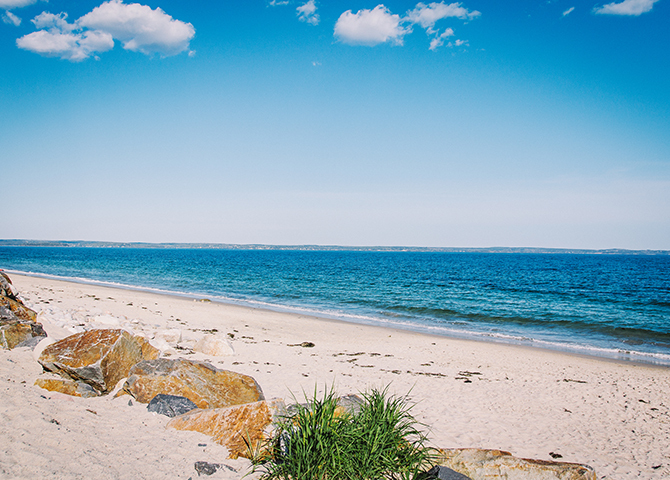 At Fleur de Sel, he takes full advantage of the bounty of Atlantic seafood available on local shores. 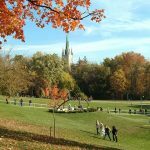 Here Martin describes some of his favourite ocean-friendly dining experiences and activities, and where to go for the best seafood in eastern Canada. 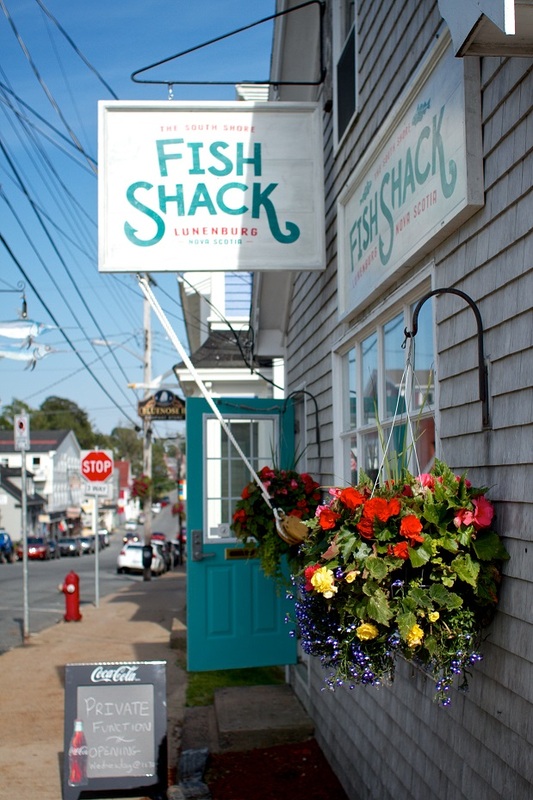 For a tasty seafood lunch—deep-fried scallops and cod tongues, with fries cut from PEI potatoes or a beer-battered haddock fish burger slathered in tartare sauce—Martin recommends his and Sylvie’s more casual dining spot in Lunenburg, the South Shore Fish Shack. 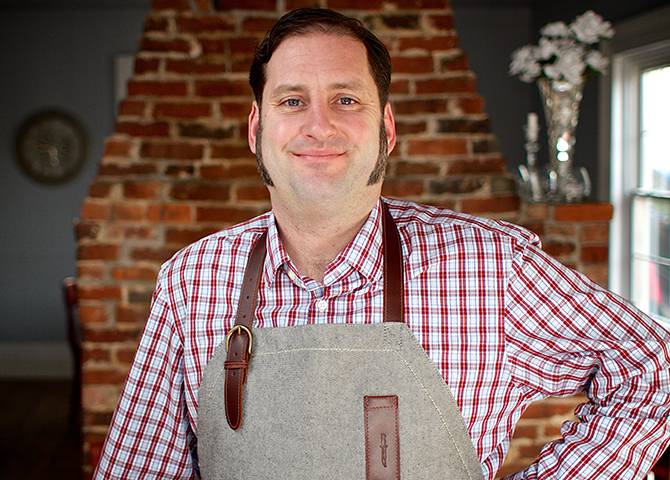 In downtown Dartmouth (a short ferry commute from Halifax) is one of Martin’s favourite casual seafood dining options: Chef Renée Lavallée’s neighbourhood spot, the Canteen. 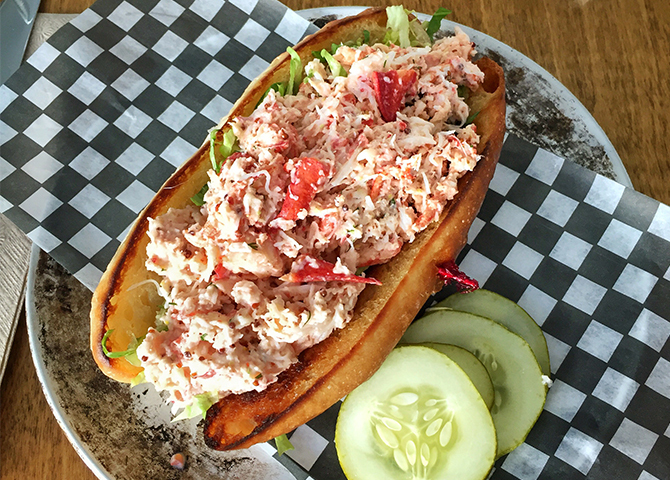 “She’s doing interesting things like Asian-inspired seafood bowls.” A must-try is the Crobster Roll, which brings together Nova Scotian lobster and snow crab on a toasted bun, with Grandmère Lavallée’s potato salad and pickles. 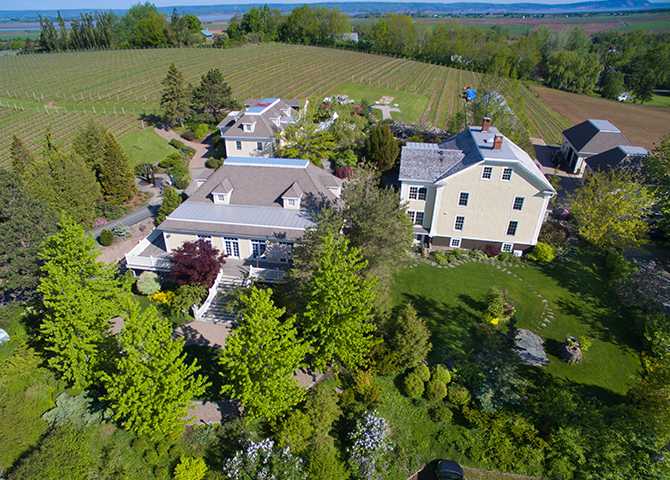 The Annapolis Valley is a place of lush farmland, orchards and more than a dozen wineries, about an hour from Halifax. 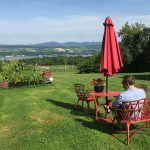 When Martin’s in wine country, he likes to dine at le Caveau, the on-site restaurant at Domaine de Grand Pré, near Eastern Canada’s first designated Cittaslow (Slow Food City), Wolfville. The wine list at le Caveau heavily features wines from Domaine de Grand Pré, such as their award-winning Riesling and Tidal Bay, and Vintage Brut. “They do a lot of great seafood pairings with their wines,” says Martin. And once you’ve finished sipping and tucking into dishes like lobster and scallop chowder or house-smoked salmon and short-nose sturgeon, you’ll have the chance to check out the Bay of Fundy, which is famous for having the highest tides in the world. For a memorable Atlantic seafood dining experience, Chef’s top recommendation is of course… Fleur de Sel! 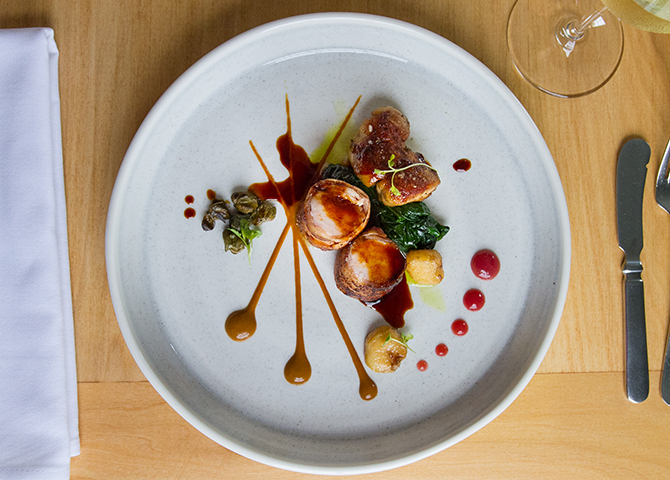 Martin and Sylvie’s classic French cuisine-influenced restaurant is housed in an 1843 heritage building on the water, in the UNESCO World Heritage Site that is Lunenburg. 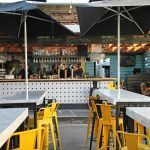 The vibe in his space is warm and casual, yet elegant, and the dishes are served on plates handmade by a local potter. 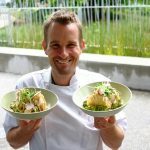 “We offer a nine-course seafood tasting menu: seven of the courses are all built around local seafood caught here in Nova Scotia,” says Martin. The menu evolves, depending on what fishers have caught that day and what’s in season, “Right now we have yellowfin tuna, so one of the dishes we’re doing is that, with a local dulse (seaweed) dashi broth, roasted turnips, whole clove Mexican garlic pickles with wasabi greens.” Another outstanding ingredient in these parts is in-shore scallops, which Martin serves with Acadian wild sturgeon caviar that comes from the only wild sturgeon in the world that’s sustainable. 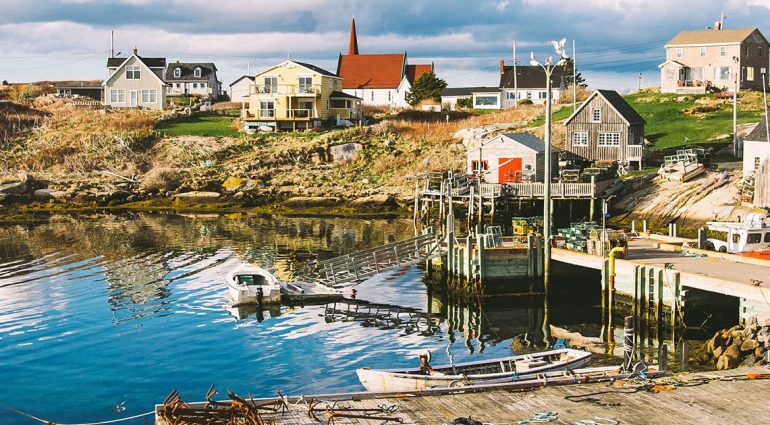 If you’re interested in seeing fishers at work and boats coming into harbor, there are fishing villages dotted all around the coast of Nova Scotia. Just outside of Halifax is Peggy’s Cove, “the quintessential fishing town, with its iconic lighthouse on the rocks,” according to Martin. There you’ll see fishers bringing in haddock, scallops, redfish and other sustainable species, depending on the season. “They’re always up for a yarn on the dock,” Martin says. Kids love the touch pool and aquarium at the red-fronted Fisheries Museum of the Atlantic in Martin’s hometown, Lunenburg, where retired fishermen and captains serve as guides. 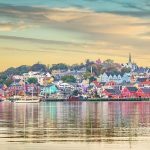 “It’s a museum about the history of fishing in Atlantic Canada, where you can learn all about the story of the cod and scallop fishers, dating back to the schooners and the Bluenose,” the chef says. Don’t miss the new exhibit on the first fishers—the Mi’kmaq whose ancestral territory is here and who’ve been fishing local waters for over 13,500 years.